Clarksburg home and business owners trust Master Plumbing to keep their plumbing systems running all year long! Master Plumbing takes great pride in serving the Clarksburg area. We provide a comprehensive range of services performed by our team of master plumbers to all of our Clarksburg customers. Clarksburg home and business owners trust Master Plumbing to keep their plumbing systems running all year long! One of the most Important plumbing services in Clarksburg is toilet installation and repair. If your toilet is suffering from a leak, clog, or any other plumbing issue, our expert plumbers can diagnose and fix the problem quickly. Have you been running into the same toilet-running issue for weeks now, even after repairs? It might be time to replace your toilet! Master Plumbing stocks a wide range of new toilets from low-flow and energy efficient options to more affordable and classic styles. We can take care of all of your new toilet installation needs for your Clarksburg home. 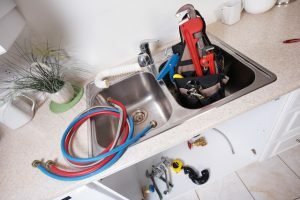 A clogged drain is one of the most annoying things that you can discover in your Clarksburg home, and they are almost impossible to troubleshoot on your own. Over-the-counter unclogging solutions often do more harm than good, so call your Clarksburg plumber, Master Plumbing! We can take care of unclogging and cleaning your drains so that they are as good as new. Your water heater needs to be a reliable cornerstone of your Clarksburg plumbing system, so what happens it malfunctions and needs repair? Master Plumbing offers water heaters from reputable manufacturers including AO Smith, State, and Bradford White. We offer a wide range of new water heaters for our Clarksburg customers, including conventional storage water heaters, tankless water heaters, heat pump water heaters, solar water heaters, and tankless coil water heaters. Our team of master plumbers will work with you to choose the new water heater that is perfect for your home and water needs. We also have many years of experience repairing damaged water heaters to save you money and time. Give Master Plumbing a call at (301) 650-9100 or contact us online to get more information on how our expert plumbers can help you with your dripping faucet (or just about anything else plumbing related!). We have received Angie’s List Super Service Award recognition for plumbing and drain cleaning every year since 2007, in addition to the Best Plumber award from Best of Bethesda. We are fully licensed, bonded, and insured and our service is unparalleled. Give us a call today—you won’t regret it! To see examples of our projects, follow us on Facebook, Twitter, and Pinterest.